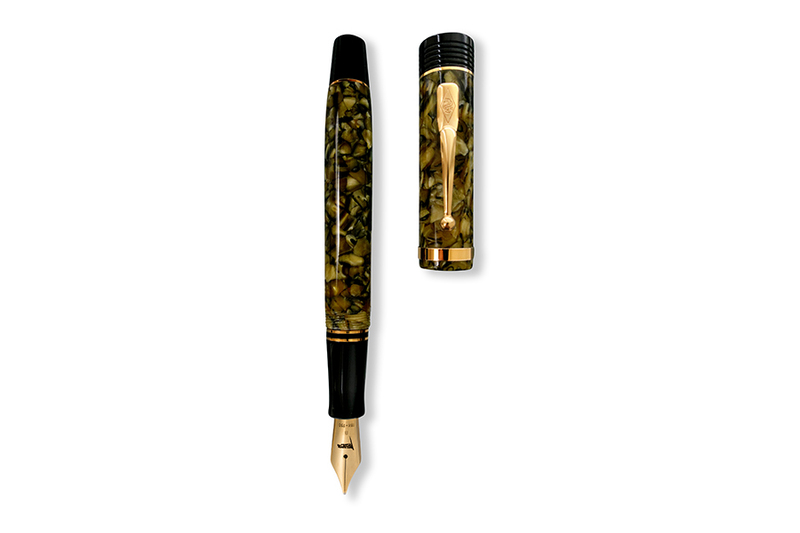 The Conway Stewart Churchill Quartz Green is available as a Fountain Pen, Ballpoint, Rollerball or Propelling Pencil. Make your ‘Mode’ selection below. You may customise any nib to your own specification at an extra cost of £40.00 plus VAT, if appropriate. For example, if you prefer to write with a Stub, Italic or Oblique nib, our nib wright, one of the UK’s most experienced nib mechanics, will undertake the work to your exact specification. Just include details of your precise requirements in the box below and the cost will be added automatically. If you would like your pen gift wrapped please tick the box below and the cost will be added to your order. Personalise your pen with your initials, company name, or a special phrase, or a special date at an extra cost of £20 plus VAT. 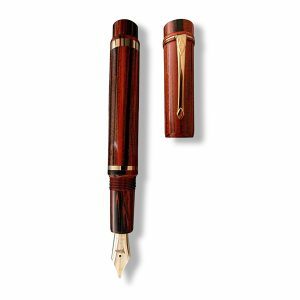 Most of our pens can be engraved on the barrel with your initials, or company name, or a special phrase, or date. Simply choose the font you want; either Arial or Script. Then type in the words in the box below. 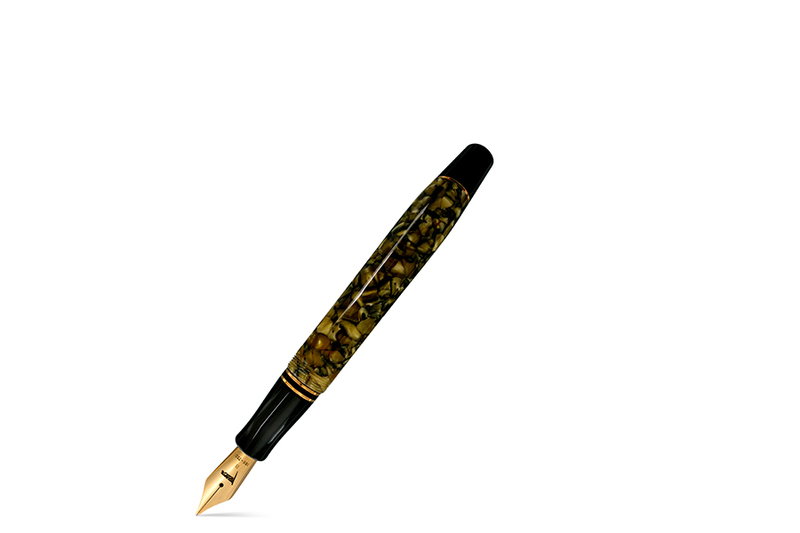 And click on Buy Now and this will be added to your pen you have selected in the shopping cart. Please note, there are some pens which can not be engraved, however if you have chosen one of these, we will contact you once we have received your order to suggest alternatives. Conway Stewart Churchill Quartz Green – another classic! The Conway Stewart Churchill Quartz Green has been assembled from original Conway Stewart components. As such, you can be assured that these are genuine CS components, assembled and prepared with the care and attention you would expect from the Bespoke British team. Each pen is housed in an original Conway Stewart black leatherette presentation box which doubles as an elegant desk display and comes complete with Certificate of Authenticity, Conway Stewart User Guide and a special anti-tarnish polishing cloth to keep your pen in sparkling condition. Because of the bespoke nature of all our pens – nib configurations, fitting options etc, we rarely have pens available ‘off the shelf’. As soon as we receive your order we will email you with a confirmation of your order and provide you with an estimate of the time required to assemble, configure and thoroughly test your pen. This is usually between 10 and 14 days, although in busy periods it could be up to 28 days. Once your pen has passed quality control it will be carefully secured in its presentation box before being packed for despatch. 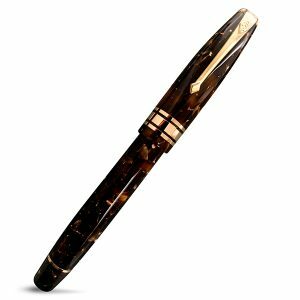 All our pens are despatched using Royal Mail and as soon as we have handed it over to Royal Mail, we will email you with a despatch confirmation. This email also provides you with a tracking number which will enable you to track your parcel. For delivery to UK addresses we use the Special Delivery service which means your pen will be delivered within 24 hours, usually before 1pm, on the day following despatch. We advise you by email when your pen has been handed over to Royal Mail and provide tracking information so you can trace the whereabouts of your pen on the Royal Mail tracking website: https://www.royalmail.com/track-your-item . You will need to sign for your parcel on receipt. For delivery to overseas addresses we use Royal Mail’s International Signed For service which means you will need to sign for the parcel to confirm receipt. We advise you by email when your pen has been handed over to Royal Mail and provide tracking information so you can trace the whereabouts of your pen on the Royal Mail tracking website: https://www.royalmail.com/track-your-item. Once the parcel arrives in your country, your local postal service takes over responsibility for delivery, although you can still use Royal Mail’s ‘Track and Trace’ system. In some countries, you can use the Royal Mail tracking number we provide on your local postal service website. For example you can use Royal Mail Tracking numbers on the USPS website to track your parcel in the USA. In other countries you will need to check with your local postal service to see if they can track international parcels in this way. 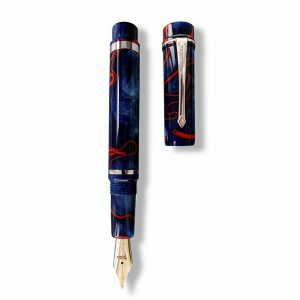 The Conway Stewart Churchill Rollerball uses a standard rollerball refill that is available from Bespoke British Pens here: https://www.bespokebritishpens.co.uk/product/rollerball-refills/ You can select from either blue or black refills in medium, fine or extra-fine widths. 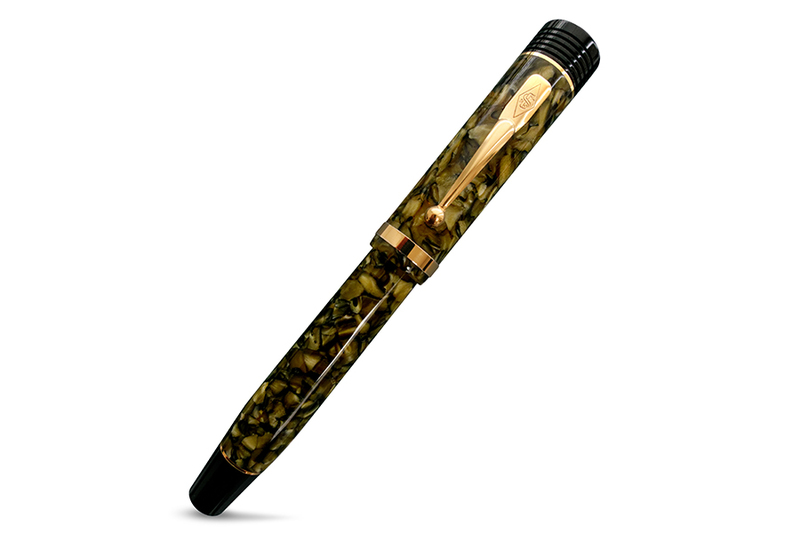 You may select one of our Flag 2-tone 18ct gold nibs to be fitted to your Churchill pen. 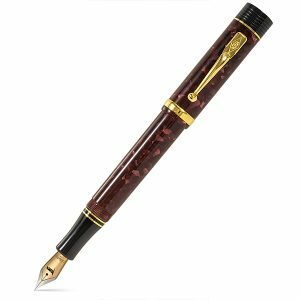 They have been highly acclaimed by our customers world-wide for their ‘smooth-as-butter’ writing ability and are available in Fine, Medium or Broad widths to suit most writing styles. Each nib bears the distinctive Union Jack Flag logo. In addition to the standard Fine, Medium and Broad Flag nibs, there is an option to customise any nib to your own specification at an extra cost of £40 excluding VAT. For example, if you prefer to write with a Stub, Italic or Oblique nib, our nib wright, one of the UK’s most experienced nib mechanics, will undertake the work to your exact specification. 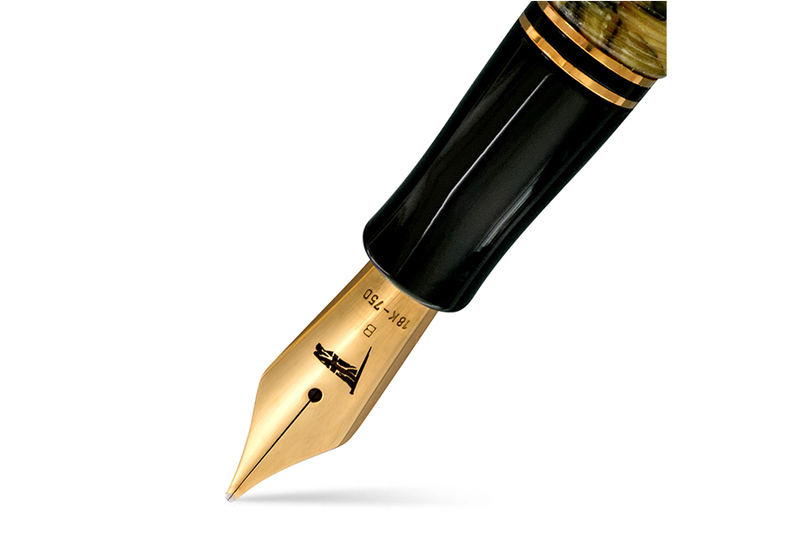 Just include exact details of your requirements when you select the ‘custom nib’ preference above. Prices shown in £ Sterling (GBP) exclude British VAT at 20%. If you live in the EU or plan to have a product delivered to an address in the EU, then British VAT is payable and will be added to the total cost at checkout. If you live outside the EU and wish to have your order delivered to an address outside the EU then VAT is not payable. If you prefer to pay in Euros, then the same rules apply as for GBP. In other words, 20% VAT is payable if your order is being delivered to an address in the EU. If you wish to view product pages with prices in US Dollars, just click the currency tab on the top right-hand corner of the page and all prices will be shown in US Dollars exclusive of any UK taxes. Subscribe to our Newsletter 'Manuscript.